Superdry men's Active all over print t-shirt. 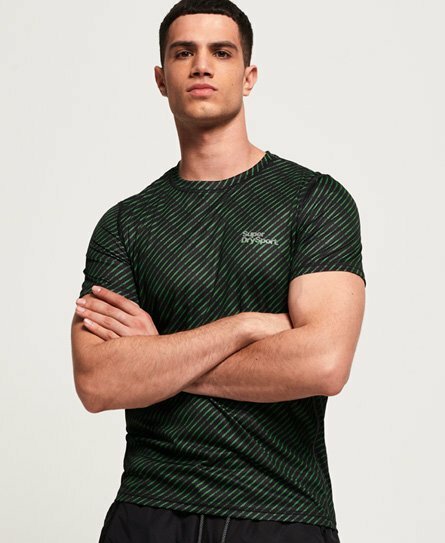 Part of our Active range, this lightweight t-shirt is made with moisture wicking technology and breathable fabric, to help keep you cool as you work out. This t-shirt also features a crew neck and a Superdry Sport logo on the chest. The Active all over print t-shirt is finished with reflective detailing on the chest logo, side seams and on the reverse, to help improve visibility in low lighting.